Should You Pay Off Debt Before Having Kids? You and your spouse are chipping away at your debt. Sure, you still have a lot left to pay off, but you can almost taste the debt freedom. You’re on fire, and everything’s going pretty well. Then, you become sick—with baby fever. Maybe it starts as a whisper, or maybe it hits you over the head when your little niece or nephew is born. Maybe your heart is aching for your first, or maybe your family doesn’t feel complete without a fifth. Maybe you want to try for a biological child, or maybe you’re considering adoption. Whatever your circumstances, you know one thing: Even though you want to be a parent, you’re worried you can’t afford it. Talk about a dilemma! Kids can be expensive, from the medical costs and gear to the childcare and diapers. So welcoming a child into the family debt-free and with money in the bank can make it a lot easier to face whatever surprises pop up—and kids are known for their share! But here’s the thing: If you let money determine whether or not you have kids, you might never have them. It would be just as crazy to let any of your money goals determine your baby timeline: "We’ll have kids when we’re investing in retirement, or when we’re able to fund their college educations, or when the house is paid off." Children are worth more than any amount of money, so if you want to be a parent and you and your spouse are ready in every other way, don’t let debt stop you. A child isn’t going to derail you on your journey to financial peace. They might cause you to press pause for a while or to slow your pace a little bit, but as long as you stay focused, you should be back on track in no time. Now, adding one more sticker to your minivan stick family isn’t an excuse to throw your financial plan out the window. That’s where a lot of people slip up. They suddenly want to buy a new, "safer" car. Or spend a fortune on cute little crib shoes from the high-end baby boutique. Or spend $400 on a brand-new stroller when their sister is offering hers for free. See how easy it is to get carried away with spending for a baby? As long as they have food, clothing and shelter, they’ll be just fine. And you’ll be able to focus on taking control of your money, which really does set you up to leave a legacy of financial security for them that will last long after you’re gone. Make sure your budget is ready to welcome your bundle of joy! 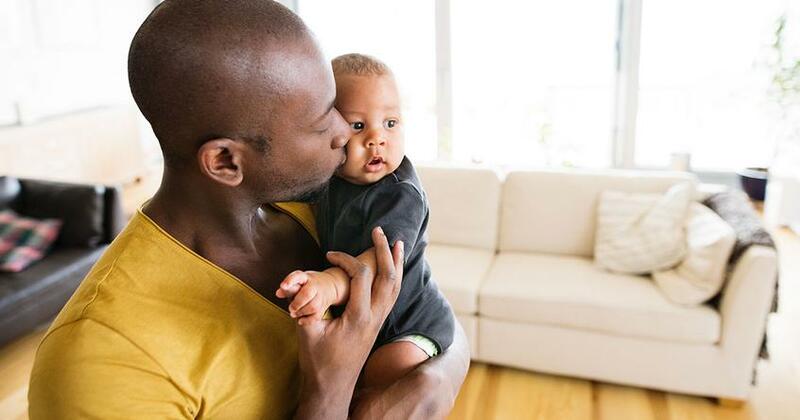 The first year of your baby's life will be full of demands on your time and on your finances. And while we can't help you with the shut-eye (bless you), we're here for you when it comes to money. Check out these 10 money to-dos for soon-to-be or new parents. In this final segment of our three-part series on bringing home baby without breaking the bank, we'll discuss concrete ways you can prepare your budget for your little one's future. To help you keep financial fears at bay, we’re offering a three-part series full of tips for bringing home baby without breaking the bank. For the first installment, let’s talk about a few things you can do to prepare financially for your little one.